Less than 20% of healthcare organizations have a full-fledged data governance program in place, according to Chilmark Research. Most healthcare systems have siloed systems that lead to missing or redundant information. There is a clear need for data governance in the healthcare industry. Changing models for care and payments call for more comprehensive insight into the entire patient journey. 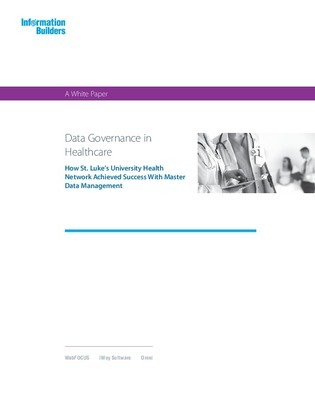 Download this white paper to discover several advanced master data management tools, and explore how 1 health care provider combined those tools with data governance best practices for new insights into their services.